It’s unusual for me to purchase a single knitting pattern. Most patterns in my collection come from magazines, books, on-line (Ravelry mostly), and my head. Wanting something simple to knit while watching Netflix or Amazon, I started a basic sock using some uninteresting yarn. 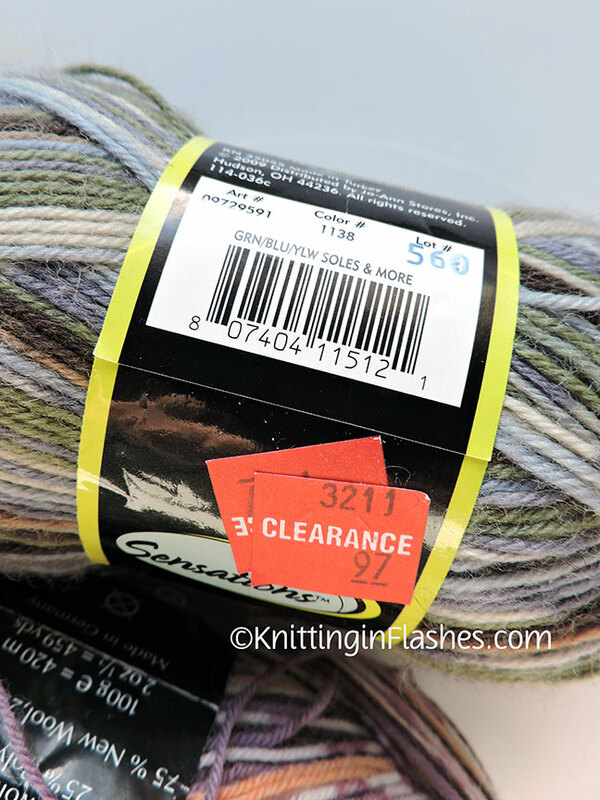 It was a GREAT price and has been in my yarn stash for at least 10 years. 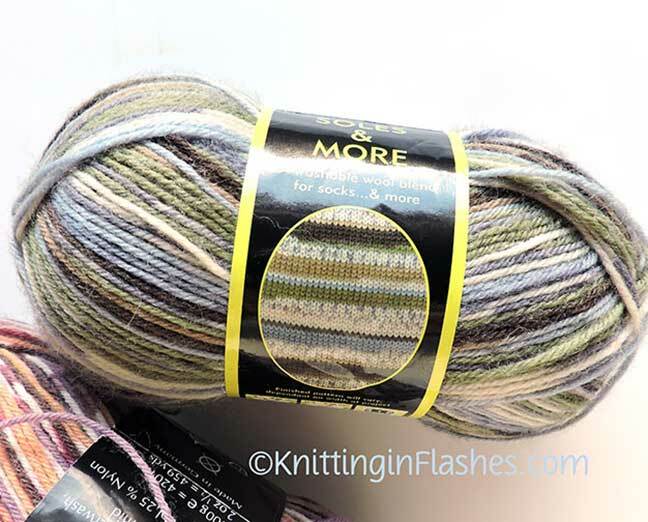 Though I do like self-striping yarn, I wanted something to at least camouflage or mix up the stripes. 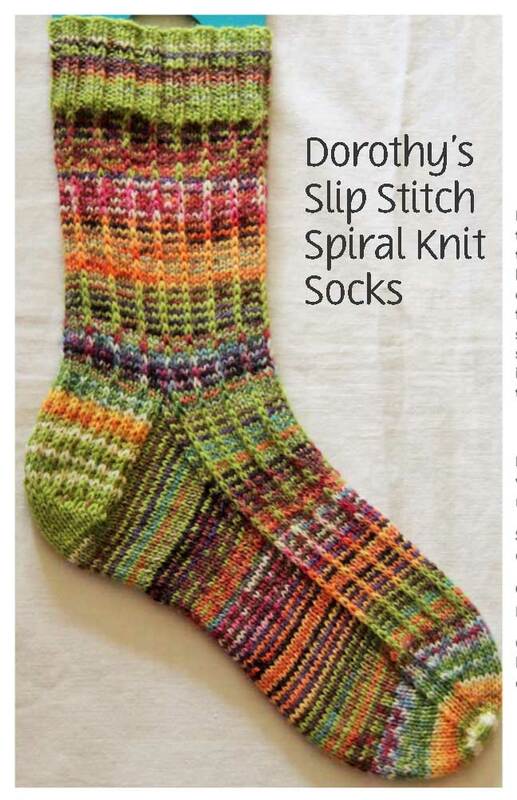 Enter Dorothy’s Slip Stitch Spiral Knit Socks. 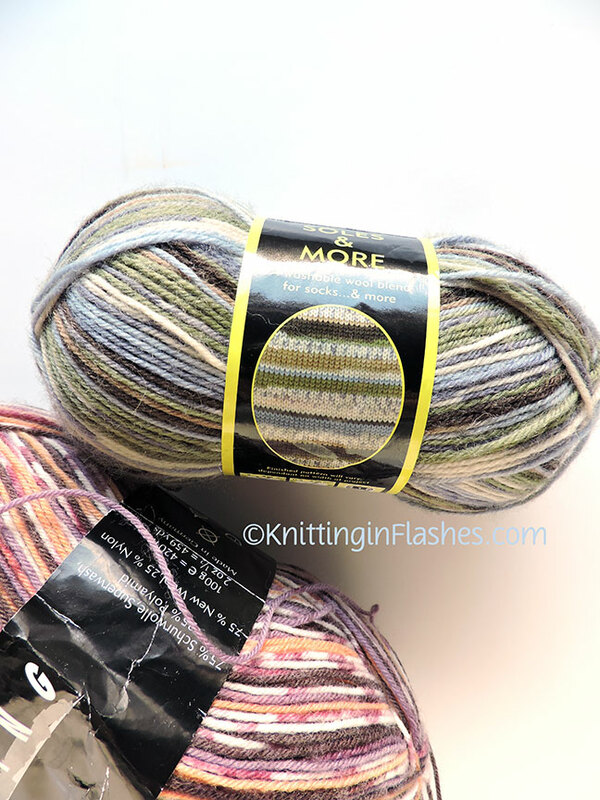 This pattern uses two different patterned or self-striping sock yarns that will help eliminate some odd balls (pun intended) of yarn and be perfect for some new socks. My two balls of yarn? Purple, orange and white vs green, blue, and brown. Should be interesting. Thank you, Rachelle for suggesting a slipped-stitch texture! 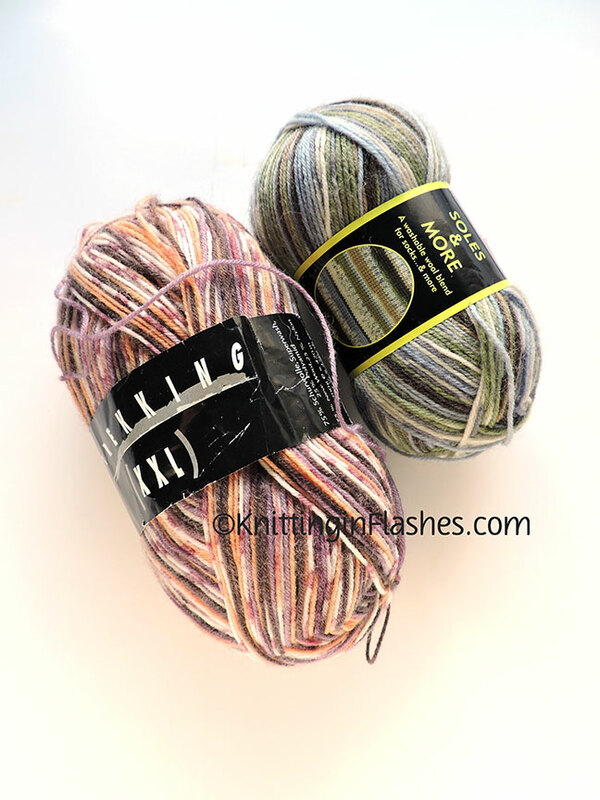 This entry was posted in knit, knitting, knitting pattern, sock, yarn and tagged knit, knitting, pattern, sock, socks, yarn by Patti_is_knittinginflashes. Bookmark the permalink. Those are going to be beautiful! I cannot wait to see this combo!!! What a great pattern.